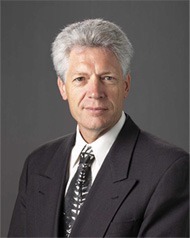 Chief Executive Officer, Museum of New Zealand Te Papa Tongarewa 2003–2009. He reo noa ka kore e rongohia e tangi ana i roto i Te Papa Tongarewa. Kua rere noa atu tō wairua, ki tō tātau kaihanga kia noho noa koe ki tōnā ringa mātau. E noho ai mātau ki konei tangi mōnenehu ai mōu. Kua mahue mai o takoha hei whāngai i te marea e uru mai ana ki te tirotiro i ngā taonga o neherā. Kua rere noa atu tō wairua, ki te whakatuwhera i tō huarahi ki te Atua. Haere, haere atu rā e te hoa. Seddon Bennington oversaw a period of significant growth and success for Te Papa. His vision was for the Museum to provide understanding and inspiration about cultural achievements and the natural environment for people in Wellington and throughout New Zealand. Seddon combined the best attributes of a museum director – many years of leadership in both small and large institutions, and a commitment to community involvement, science, history, and art. A New Zealander, he was a scientist by training (PhD in Zoology from the University of Canterbury), but had a very strong commitment to and knowledge of the arts. Before he came to Te Papa, Seddon was Director of the Carnegie Science Center in Pittsburgh, United States, where he was a major force behind the centre’s expansion. He had also been the Chief Executive of the Scitech Discovery Centre in Perth; the Head of the Division of Professional Services at the Western Australian Museum; the Director of the early City Gallery in Wellington, and Director of the Otago Settlers Museum in Dunedin. Seddon will be remembered by friends and colleagues for his intellectual and physical energy, his outgoing personality, and his love for his family. A keen tramper, runner, and swimmer, Seddon revelled in the New Zealand landscape and beaches. His particular affection for the Tararua Ranges was well known to all those privileged to know him. Apart from his outdoor pursuits, he was an enthusiast for and champion of contemporary art, and always maintained a profound interest in New Zealand’s natural heritage. Seddon was a recognised leader within the international museum sector, and was valued by Te Papa’s management, staff and Board for his forthrightness, warmth, and commitment to the nation’s natural and cultural heritage. Seddon was a kind and thoughtful man, and will be remembered with great respect by his colleagues and staff. Our hearts go out to his family and friends. He will be sorely missed. There is a memorial to Dr Bennington in the Wellington Foyer, Level 2 at Te Papa. This includes a book in which visitors can leave messages of condolence for the family. Summer is on its way in New Zealand another summer Seddon will miss. We miss him so, but thank God for giving us him even for the short time he was here. I am still here using your teaching to bring a science center to NEPA.My daughter is graduating from college in high honors this May 2015. YOU HAD SO MUCH TO DO WITH THAT. You live through your teaching and mentoring I will keep working until it is done. Why are you dead so sad for your family grandchildren not to know you. I will make sure you will be honored here .Your sharing and teaching will not go unsaid.. It is now May 2015 and you live here now. What a brilliant educator you have been to me. God bless your kind soul. I miss you my daughter misses you why did you climb in that storm ? I knew him before all his accomplishments while at high school.Quiet,good natured,inquisitive.He did enjoy tramping with the school tramping club.He was average but not brilliant academically,his best subject being biology where we competed for first place.All these years later I find what he achieved and how tragically he died.I feel honoured to have known him in those important years. I was not aware of this memorial page. It is sad but adds life to the memories. Seddon has everyone forgot about you ? You have left me with so much education that I know I must use to keep you alive. I know what I must do I am still alive. I have had terrible circumstances 3 car accidents in less than a year,not my fault.I am healing and am aware of my quest to have a science center here in nepa.I must use what you have taught me,why all these mountains to climb ? I know your wonderful family has not forgotten you, I promise I will make hyim known through this project.Real life is so difficult not like a tv movie that solves things in one hour.God help me to keep your spirit alive and make you wonderful family proud. It is September now I still think sometimes I can send you an e-mail, but you are not there.I just pretend sometimes you are on a long distance call and can’t answer. Seddon You live in my heart and my families.Miss you beyond belief.We need yourleading us on the right path for science and education and art ofcourse.I am angrywith you that you did not turn back when you told about the storm.Now so many of us feel this great loss before it’s time.You had so much moreto give to the world.You were a good human being we all would have like to know you better for the next 40 years and a natural death. Yes 2 years, but the legacy is strong. Above all I learnt from Seddon’s extraordinary humility, his very own ‘brand’ of post egoist, post structuralist philosophies and his work ethic. I marvelled at his ability to be still in a jumpy world, and ahhh – his crazy sense of humour. And yes , we were all so lucky to have known him, even for those only briefly acquainted . It is 2 years since you have passed on. Thank you for making our place and this world a better place while you were here. May the good works you did here endure. Seddon I wish all of us who think about you could bring you back with our thoughts.Your work was not done yet here. Seddon was helping me bring a science center to ne pa. He connected me up with people all over the world. He believed that education is the cure. That there were no boundries just children and their families.there were no countries borders just people trying to live their lives.there is no color no race, religion,just belief for the greater good for all.We seem to be a no mans land here where every adult human is self centered, but Seddon taught me I must rise above for the greater good and rise above it because I know better.I miss him so much but he has taught me so much over the years and because his love for mankind I must keep moving on.All of this is easier said than done, but he knew that because he did it.He taught me that is up one of us to make the world a better place and always to follow our mission. He helped me write my mission and values.I am praying he will help me from heaven in reality I have learned there is one in billions like him and I am stopped at every turn, but he always told me if you do not stop you do not fail.I am sure I am not the only one he has helped.I know he loved Frances and his sons and grandaughter and everyone else on the planet. It will a year since you are gone. it is a night mare for so many of us cheated by your passing.What happened up there ? I have removed that comment. Spam bots are getting more and more clever and I am really having a hard time telling the fake from the true… This one slipped through the net. Really sorry for the confusion and upset it caused. I wrote comment 83. I did not write comment 97. Someone has used my name illegitimately in 97. Please remove post 97. Ms Black, Are you mad that Seddon has passed ? It is a new year 2010 and Seddon will not be here with us. Somehow I and my staff feel him with us in someways.We miss you Seddon..wish you were still here.Great teacher,friend and human being.God Bless your sweet soul, you will be missed for eternity! Dr. Bennington did so much for the Carnegie Science in Pgh. He was sadly missed here in Pgh. when he left for New Zealand. Now he has left the world.Such a wonderful human being. Now that the holidays are here I was reminded of Dr. Bennington. Our family would send him a Christmas Card every year. We were going through our Christmas card list and it hit us again this darling human being is gone. I knew Seddon since I was 3,I will be 17 this November.He always sent me postcards from all over the world, I have every single one. Seddon has been helping my Mom bring a science center here in NE Pa. I miss him so much,I would send him e-mails. He said he was so proud of me when I was excepted into the National Honors Society. I am so sad, so very sad. I remember as a small child he would always kneel down to my height and talk to me eye to eye. God Bless and take care of you in heaven. Dear Seddon, I am sure you are in heaven not far from God’s ear.Your passing has caused great grief for hundreds. We here on earth do not understand why this was your fate. Your work here on earth is still needed.You were one in a billions who could do in one life time what you have done for mankind. Apologies for the misunderstanding on Dr Bennington’s wife passing away. Our deepest condolences for this great loss. Over this period, the South Project mourns with you as Dr Bennington was a dear friend to the South Project and to the arts communities across the Southern Hemisphere that we work with. It is rare to find all the qualities of leadership, immense humility and charisma, wisdom, vision, sound management, joy and grace all in one person. Dr Bennington had these and many more that drew people to him. He was not afraid to take creative risks and valued the voice of the lesser known as an equal contributor. It was a pleasure and an honour to work with Te Papa under his leadership in 2005. Our thoughts go to his family and friends for too the loss of his wife. To Dr Bennington’s family and the staff of Te Papa Tongarewa/ Museum of New Zealand. Our condolences to you all on behalf of the Trustees of the Colin McCahon Research and Publication Trust. Dr Bennington was a charming and gentle man. We greatly appreciated his generous, long-term institutional support enabling the art of McCahon to reach a broad audience through support of the database. I remember meeting Seddon when I first joined the museum profession in the early ’80’s. He was the Director of the City gallery at the time and I remember him both for his friendly manner and his professionalism. He will be sorely missed. My condolences to his family and NZ colleagues. My heartfelt sympathies to all who have been touched by Seddon’s passing – his family, colleagues and friends. I had the pleasure of meeting Seddon for just an hour, on a beautiful sunny day at Whangara Marae, north of Gisborne. His warmth, ease of conversation and interest in what was happening in our Museum in South Taranaki struck me, as did his sense of humour and kindness. Thank you, Seddon, for your time, encouragement, warmth, and now, memory. I met Seddon when he travelled to Mexico a few years ago and was instantly struck – as I have been each time our paths have crossed again since – by what a warm, caring and sensitive person he was. I felt proud to have at the healm of Te Papa. My aroha goes out to all his family. I can’t say too much that has not already been said.Like many of my other co-workers and former co-workers I agree that Seddon was a very personable man.Getting to know everyones name and taking the time to strike up a conversation. I still have the cards he sent upon the births of my first 2 children. My sympathies to his family.They share the greatest loss. I met Seddon as a PhD student at Canterbury University having just spent a year in Aukland studying art and anthropology. I was a young UC Berkely grad escaping the US VietNam war and studying marine biology “down under”. My husband Tim and I were at loose ends and Seddon immediately took us under wing. We got to meet his parents and family, and were soon great friends. We were able to connect him with a project at Bodega Marine Lab working on PCB pollution in Brown Pelicans, where he was able to meet my family. Although that was over 40 years ago, I still have fond memories of his quiet refined and caring ways. We only shared a couple of letters in all these ensuing years, but I will never forget his kindness and friendship and will truly miss him. My deepest sympathy to Frances and the boys. I met Seddon so long ago now that he seems like a constant. Our friendship began at the WA Museum and continued through my eventually being employed at Scitech WA. I always saw him as part of a rarified creative world but he fostered my writing talent and saw that I met people like Tim Winton and Elizabeth Jolley. Will hold dear thoughts of his chasing the ghosts out of the Fremantle Arts and his sense of fun. Perhaps because of his influence I finally finished that degree, became a teacher and learnt to be more comfortable in my skin. He was always happy to just talk, and clearly loved his family. There must be an emptiness in their midst I can only imagine. Of late I had begun to enjoy my tiny snippet of contact and will miss my friend. I am one of many in this global science center community who feels Seddon’s loss deeply and personally. During the years he lived in the United States and was on the Association of Science-Technology Centers Board of Directors (1995-2001), I treasured the opportunity to work more closely with him. He was not only a respected leader, but a warm personable colleague who cared deeply about people and the outdoors. While in San Diego for an ASTC conference, I remember walking on the beach with Seddon and several others. Among us, he had the best knowledge of the critters along the shoreline. Within minutes we had shed our shoes and were following him around making discoveries we would not have otherwise. My heartfelt condolences to all of Seddon’s family and many friends. Almost twenty years ago when Scitech in Perth was in its infancy, Seddon was begining to draw together a disparate team with a very strong vision. At Museum Victoria we were planning what was to become Scienceworks. As part of this development I visited Scitech and was instantly impressed with Seddon. Seddon was there, not to show me the success that Scitech was becoming, he was there to assist me in whatever way he could. He listened intently as if mine was the only matter he was dealing with. He questioned gently and sought more iformation if he didn’t understand. He took me home, and I joined the family at dinner. His home bore all the hallmarks of a man deeply interested in good design and craftsmanship. All my susequent interactions with Seddon confirmed my first impression of thoughtful and caring man. My sense of loss will be nothing compared to many others. However I grieve for the opportunities that the future held for our paths to cross and for us to pick up on an easy, intermittent conversation that lasted two decades. Thank you Seddon. 16 July, 2009, Wellington, New Zealand. I am inexorably sad that Seddon has passed away. The world is a little darker and greyer without him. Seddon was an extremely intelligent and gifted man whose abilities and interests were not confined to one particular area. He was a true Renaissance man of the twentieth and twenty-first century. He was also, above all, a man of integrity. I met Sedoon when he was living in Auckland. He was a close friend of, and shared a flat with, the young man I was dating, Kilifoti, who later became my husband (and Seddon was the best man at our wedding.) Seddon was studying, among other things, Art History, Anthropology and Russian at The University of Auckland, having already submitted his thesis on the albatross of Snares Island for his Bachelor of Science (Honours)at the University of Canterbury. I believe his thesis was so outstanding he was told it would be accepted as a doctoral dissertation, but he needed to have more years at university first. Hence his enrolment at Auckland University “just for fun”. Seddon rode a huge BSA motorbike, and had raced motorbikes. He could seem quiet and shy to those who did not know him, but that was because he listened intently to others. Just as he would listen with his whole body, he would also throw back his head and laugh wholeheartedly. He was keen on drama and would “come alive” on stage. Seddon’s idea of fun was to attend a Philosophy lecture on “What is art?” – intellectual fun! But equally he loved the world of nature, being outdoors and challenging himself. He had a passion for art and artistic expression and was artistic himself. Not only was Seddon remarkable in his deep interest and abilities in many areas, he was also not limited to his own culture. He had a deep interest in and valued other cultures. This was evident in: his year as a VSA teacher in Samoa; his choice of subjects at Auckland University (Anthropology; Maori Studies; Russian); but also in his private life, his choice of friends from different cultures, his enjoyment of Samoan family to’onai and participation in Samoan events. This was at a time when New Zealand was a lot ‘whiter’ and more monocultural than it is now. These personal attributes (his deep intellect which he applied to understanding the world and our place in it; his passion for beauty, both the beauty and wonder of the natural world and the beauty and wonder of art and artistic expression; his habit of pushing himself to the limit, of challenging himself, both intellectually and physically in an attempt to do the very best he could do, and be the very best he could be, in every area of life; his deep interest in and valuing of other cultures; his ability to truely care about the other, to listen intently, to help him or her to be the very best they could be) Seddon took into his work. No decision would have been made without applying his intellect, his passions, his desire to achieve a better society, a more just and equal society, one that had the opportunity to reflect on itself in the context of the museum; one that could be challenged to question its values, to appreciate and value the other cultures it lived among; one that could grow in its appreciation and love of art and artistic expression; and one that could look at itself, its own art, its own history, its own achievements, and be proud. So although I am deeply sad at Seddon’s passing I take this opportunity to celebrate Seddon – all that he was, all that he achieved; and how he enriched our lives, both personally and in his professional life. I have not spoken about Seddon’s deep love of family and friends. This love sustained him. When we met up again recently in Canberra and last October he spoke with love and pride about his sons, Emile and Marcel, and his upcoming visit to meet and spend time with his new granddaughter in Perth. He also spoke of his sisters, Heather and Jeannie, with love. Frances had been his wife for many years and will feel his loss deeply. To you, his family, we offer our sincere condolences. Seddon will always have a special place in our lives and our hearts. Through him we are linked and you therefore will always be welcome in our home as part of our family, wherever that may be; at the moment, it is Tokyo. We deeply regret we cannot return to farewell our friend, to celebrate his life, to mourn with you, but Seddon is in our hearts and prayers, and so are you. We are there in spirit. It seems fitting that today at 11:00am in Tokyo (2:00pm NZ time) there will be a solar eclipse – the sun there will be gone from our world – just as we, in silence, mark the ending of Seddon’s funeral. Haere ra. Haere ra. Haere ra. Tofa. Tofa. Tofa. Tofa soifua. For all my friends at Te Papa, Michelle, Liz, TEAM Whales Tohora ( Melissa, Moana, Robert, Paul , Mike ), Anton, Nigel and so many others I met who were involved in bringing Whales Tohora to it’s first USA tour venue at the National Geographic Museum Explorer’s Hall here in Washington, D.C. I was so very sad to learn of the untimely and tragic loss of Dr. Bennington. Although I did not have the honor and pleasure to meet him, I feel as though I did know him by having the wonderful opportunity to work with such wonderful Te Papa representatives and NZ ambassadors for the Whales Tohora exhibition here. I was most impressed with the fantastic knowledge, skills, talent, work effort and ethic of all involved with this exhibition. I am so certain it is a direct reflection of the wonderful character and love Dr. Bennington nurtured and instilled in all those fortunate to have had the honor to work with him at Te Papa. It is quite obvious to me from afar he was certainly a caring, remarkable and wonderful person that I know you will all there at Te Papa miss greatly. Just know that his spirit and memory will forever live on within each and every one of you as you all go forth in your life’s journeys and know that Dr. Bennington has preceded all of those he loved to a higher place. TEAM Te Papa continue the good work you all do as this will serve to be an honor to a most loved and remarkable man. All my thoughts, prayers and best wishes are with Dr. Bennington’s family and all of you my friends at Te Papa. I miss and love all of you and I can feel your sadness, pain and broken hearts all the way here at National Geographic Society in Washington, D.C. I am thinking about all of you and I wish I could be there to give you all a hug. I miss and love all of you my friends. Seddon was a very special friend. I first met him when he turned up one Sunday afternoon at Aunt Malae’s and Uncle Mose Tai’s house at Rose Road, Grey Lynn, Auckland, on his solid but battered 1951 BSA motorbike which he had ridden from Christchurch. He had been referred to the Rose Road address by a Samoan student friend at Canterbury University. Earlier, he had spent a year in Samoa as a Volunteer Service Abroad Science/English teacher at Vaipouli School, located next to magnificent sandy beaches on Savaii island. Seddon had come to Auckland to study Art History and Anthropology at Auckland University having deferred his postgraduate science studies at Canterbury University. My first impressions of Seddon were of a gangly young man of similar age who, while naturally cautious at his first meeting with new people, was clearly comfortable amongst Samoans. He was polite and sensitive but open-minded and confident; genuine and unpretentious. Seddon quickly became a member of our family. Soon after I discovered that Seddon was a deeply loyal and caring person who gave his full commitment to whatever he did. We rented a flat in a large building in Mt Eden designated for demolition. The owner provided us with paint and brushes to freshen the place up as we wished, and we vented our artistic frustrations with unrestrained delight. Seddon later rented a flat on his own with room to display his old weaving loom and other art objects – his first art gallery. After Auckland University we pursued PhD studies, with Seddon returning to Canterbury University and I went to the Australian National University, Canberra. Soon after, we both returned to Auckland when I got married and Seddon was my best man. Throughout the years, even when we were not in regular contact, we both alawys recognised and valued the strength of our friendship. When Seddon took up his post at Te Papa in 2003 I was Samoa’s High Commissioner to Australia, so visits and communication became frequent. A card which he sent from Tehran in early 2009 caught my attention at the time. He was in Iran on a familiarisation visit as part of preparations for an exhibition of the Treasures of Persia at Te Papa in 2010. I thought that it was typical of Seddon trying wherever he could to promote tolerance and understanding between people whatever their background, as he expressed his “hope for more peace on this earth”. I and my family are deeply saddened by Seddon’s untimely death and we will miss him. However we are also immensely proud of his achievements and his contribution to society, both in his beloved New Zealand and elsewhere. Tofa Seddon, e matou te manatua pea oe. The Pacific Studies Programme at Victoria University has long relied on Te Papa as an incredible local resource for teaching–a place we take our students to think, learn, debate, and intellectually grow. While my personal interaction with Dr. Bennington was brief–limited to the fairly formal contexts of exhibition openings or conferences–it is palpably apparent the degree of respect and esteem with which he was held by his staff and the wider community, and how deeply his loss is felt. My sincerest condolences to all who will miss him, as well as the friends, whanau, and colleagues of Marcella Jackson. I was in Hawaii for work when I heard the awful and shocking news about Seddon. I couldn’t believe it as I had just the week earlier spent quite some time catching up with him at the US Embassy Independence Day celebration at the Wellington Club. It was always good catching up with Seddon at these receptions. He was always interested in and concerned about what I was up to and what was going on at Fulbright. I will always remember and cherish that last time talking with Seddon. Moreover, I will always remember his warmth and cheerfulness, charisma and charm, his articulate and thoughtful contributions, great listening skills, support, patience and kindness. It is still a shock that he is no longer with us – a tragic and significant loss, taken too soon. I will miss him, and I know so many others will too. Our sincerest condolences to Seddon’s whanau/aiga potopoto (extended family), friends and everyone at Te Papa. Seddon – haere atu ra, ia manuia tele lou malaga, farewell. We are not here just to survive and live long…We are here to live and know life in its multi-dimensions, to know life in it’s richness, in all its variety. And when a man lives multi-dimensionally, explores all possibilities available, never shrinks back from any challenge, goes, rushes to it, welcomes it, rises to the occasion then life becomes a flame, life blooms. Bhagwan Shree Rajneesh, “The Sacred Yes”. from Susan Hayward’s “A Guide for the Advanced Soul”. We honour Seddon’s memory, by living the very best lives we can. Farewell Seddon, you have been a great friend of the New Zealand Human Rights Commission and the New Zealand Diversity Action Programme – in fact, following a discussion at Government House on Waitangi Day in 2005 you contacted me to register Te Papa as one of the founding partners in the programme. Te Papa has been a showcase of New Zealand’s diversity under the leadership of you and your team. I will miss you. My profound condolences to your family, your colleagues and your many friends. We will think of you especially at the annual Diversity Forum in August, the third that you would have hosted at Te Papa. He did the little things – like taking home the office tea towels to wash, baking a chocolate brithday cake, bringing flowers from his garden for the reception desk. He did the big things – believing in his people and their capacity to achieve great things. He made us believe we could. To his family my heart goes out to you all. I first met Seddon at Scott Base in Antarctica when he was on a short familiarisation visit. He was one of the few people I have met who still looked elegant when getting out a helicopter into high winds! Everyone else looked a little worse for wear but Seddon remained tidy. He was willing and did talk to most people on the base and was interested in our thoughts on Te Papa. I remained in contact with him though the Museum community and was always impressed with his ability to remember names and faces, and willingness to ask for and listen to the ideas of others. He will be much missed. I was privileged to know Seddon during his time at Scitech in Perth. He took a disparate group of people, most of whom had never even visited a science centre let alone worked in one, and he helpd us become a team. He inspired and challenged us to make something of which we can all be proud and something which continues to prosper today. On a personal note, he encouraged me and gave me opportunities throughout his time at Scitech and my life today is in no small part due to his influence. It has been a sad but warm opportunity to read the previous comments and Seddon obviously continued to impact on others who worked with him once he left Perth. I send my very best wishes to his family and friends and to his colleagues at Te Papa and I will be thinking of you all tomorrow. Museums Australia (Victoria)send our condolences to the colleagues and family of Dr Seddon Bennington. Seddon acted as a pro bono expert reviewer for the Accreditation visit for Museum Victoria last year, through the Museum Accreditation Program run by our organisation. Seddon was an insightful and generous contributer to this process, and his loss is a loss to the museum sector in the Asia Pacific area. the Lord pf the Path. he will be feeling confused. since he made a journey. es otro señor de camino. is another lord of path. por el que has pasado. of the primordial path follows. a causa de la ignorancia. Please accept that our deepest and most heartfelt thoughts are with you at the passing of Seddon. It is such a sad time for you all and for those of us who have grown to know Seddon in his time with Te Papa. We at MuseumsWellington all feel deeply shocked at his sudden loss, and know that this feeling must be very strong for you all. Seddon has been a great supporter of us here at the Museum of Wellington City & Sea, Wellington Cable Car Museum and the Colonial Cottage. Seeing him at our functions and willingly giving his time to us when we have a query will be sadly missed. We hope the following days and months ahead are filled with the warmth of admiration we all have for Seddon and for what you at Te Papa do and achieve on a daily basis. Our world is a little darker and colder with Seddon gone. Our bright and warm memories cannot make up the difference, but we will try. May we all strive to keep his work alive in our hearts and actions. Seddon was a remarkable individual. I met him through working on a film at the Carnegie Science Center. I was immediately struck with his down-to-earth nature, as well as his creativity, intelligence, good humor, and kind nature. Working with him was a great pleasure. And as so many have mentioned, spending just a bit of time with him sparked a friendship. His presence will be greatly missed. My condolences to both families on your loss. Seddon was my friend and so much more. I have never been more enriched by another human being. Seddon knew I loved birds and I had the pleasure of going on a few walks in the woods with him. I would carry the binoculars and he would carry the bird book. I think we did more laughing than birdwatching. After I heard the tragic news I kept asking for a sign that I knew he was alright and I realized that it had come last Monday. I was in my garden and a beautiful blue Indigo Bunting landed in my garden not 10 feet from where I was standing. (I’ve never seen one in my yard before.) He sat there for a minute or two and flew away. I know now that was my sign. My condolences go out to his sons and beautiful granddaughter. I just wish she could grow up experiencing the essence that was her Grandfather. Peace to all of his family. It was truly a shock to hear the news of Seddon’s passing – he will be greatly missed. During my time at Te Papa I had the pleasure of coming across Seddon on many occassions where he was always open and friendly. Our condolences, thoughts and prayers go out to his family, friends and staff at Te Papa at this very sad time. Seddon Bennington was such a breath of fresh air when he arrived back in Wellington. He was a regular at smaller gallery openings, genuinely interested, never trumpeting his presence but easily accessible. He remembered names and faces and would carry on conversations where they left off months before. One felt that for all the initial controversy aimed at Te Papa from the art ‘community’, under Seddon’s guidance, it was balanced in a pair of hands which could guide the institution astutely and diplomatically forward. His spark will be greatly missed. I, too, was a co-worker with Seddon when he was at Carnegie Museums of Pittsburgh but, more importantly, we were friends. He and Frances and Emile and Marcel spent their first two Christmas Eves with me, my husband and my extended family. I have wonderful memories of them all, especially Seddon. He had such a warmth and a wonderful sense of humor. We have lost a remarkable man and my heart aches. My last contact with him was in April and he boasted of his grandchild. My thoughts and prayers go out to Frances, Emile, Marcel and the staff of the Te Papa. Such a great loss to hear of Seddon’s passing. He was truly an inspiration to all that had the pleasure to meet him. Both myself as the current Director of Questacon, and the previous Directors, Professor Mike Gore and Dr Annie Duncan, we appreciated and respected your friendship, drive and integrity. Our heartfelt condolences to all your family, Marcella Jackson’s family, your friends and staff at Te Papa. haere ki te poho aroha ō tō tatou tipuna a Hine-nui-te-po. Moe mai ra e te Rangatira. City Gallery Wellington director and staff wish to pay tribute to friend and colleague, Dr Seddon Bennington. We extend our deepest condolences to his family and the board and staff of Te Papa. For a CEO, Seddon was refreshingly accessible and visible, his dedication to the arts was incredibly broad – he showed interest in the full range of creative activity be it nationally or internationally significant exhibitions, through to small artist run projects. We valued the way he supported the visual arts alongside his interest in other museum disciplines. He looked upon partnerships as opportunities to make ambitious things happen – we worked in partnership with Te Papa on exhibition projects due to his leadership and support. Seddon was unfailingly polite, pleasant and friendly, and true to his word. Seddon. a man so full of life.He was the only man I ever knew that had not a bad word to say about anyone.He would always give me another way to look at things,He has been helping me on a project here in the US and has never given up on me nor the project.This is such a nightmare for me, he was like family to my daughter and I.
I learned so much from him over the years.A wonderful man who loved children and had deep respect for every living creature. I will miss him as my friend ,Seddon I will miss you so much. Seddon and I discussed an idea or two for the museum not too long ago. I enjoyed his candor, integrity and honor. I wish I’d met him in person and perhaps he found his perfect place to die. Seddon certainly was well-known here in the States and I met him through AAM functions. It is a loss to New Zealand and the entire museum world when someone of his caliber is taken too soon. I first met Seddon when we were both students at Shirley Boys’ High School, Christchurch. In 1965, our last year at high school, an early indication of his willingness to serve others was that he had applied for and been accepted by Volunteer Service Abroad to spend 1966 in Western Samoa. He was awarded school prizes for biology and art and a special prize (Hartley Scholar) awarded to the student considered to be the most likely of all the students to succeed. His career shows that they got that right. I was saddened to learn of his death and extend my deepest sympathy to his family, friends and colleagues. I would like to pay tribute to Seddon. He was a leader who stayed in touch with his community. Right from his first days at Te Papa, he got out and around the galleries – and that he managed to do this was impressive. Unfailingly charming and polite, he took an active interest in contemporary art and always enjoyed talking about the work of artists. His friendliness and accessibility will be missed by many. His death is tragic and my condolences go to his family, friends and the staff at Te Papa. I have so many memories. Seddon was my mentor and a friend and he made such a tremendous impact on my life that will long outlast our time together … and still as I have done so many times since he left Carnegie Science Center, when I imagine what is possible and test my own limits, I will think of Seddon and see more in myself. Thank you Seddon for giving me a place and space to grow. Thank you for caring so much. I look back on my remembrance of Seddon Bennington at Carnegie Science Center as a time of unbridled creativity, respect for all people, grand visions of art and architecture, new and interesting interpretations of who we were and what our mission should become. 36 volunteers working with me were impressed and continue to be impressed to this day that Seddon knew them personally, and made time to stop and speak with them while he was dashing around the building on his errands. During our First (and last) Annual Brass Handrail Polishing “Party” for volunteers and staff, Seddon made time, dressed in his suit, to stop by and participate in this messy and dirty activity, before he ran off to his evening meeting. He did a swell job on the brass, leaving without a spot of dirt on his suit. You can’t help but be impressed by that. What a fitting way for him to leave this world, exploring nature and pushing his limits, doing something he loved. Seddon was my role model of he Renaissance Man for this 21st Century! They found my Boss, along with his companion, high up in New Zealand’s Tararua Mountains. He had gone tramping at the weekend in ‘developing’ conditions. Co-workers keep asking “he was an experienced tramper, what the hell was he doing up above the snowline in midwinter’s uncertainty?” We can only speculate on the insidious decline into unconsciousness that accelerated hypothermia brings with it. To be found just a kilometre away from the safety of a hut is meaningless. 500 metres, one hundred metres it doesn’t mean a thing if you have lost the ability to rally one more time against the freezing odds stacking up against you. It’s too cruel, too agonisingly infuriating for us back here in the warm. But that’s applying our criteria, not his. We all make our own choices. There was a man who genuinely loved to get out of the office and go walking in the outdoors, even in the depths of winter. Those of us who casually chatted with him knew him to be unfailingly polite, courteous, rather shy even. He was definitely a museum guy though, working so hard to make a difference in our sector of society. Farewell Seddon, I’ll miss our chats at Te Papa. You remembered my name and strove to recall the names of the hundreds who worked under you. It’s those little things you’ll be remembered for. But Dr Bennington to farewell you at just 61 it’s such a premature shame, too incredibly sad. Walk on into the warm light. Thank you for this blog remembering a very able man and a good friend. I first met Seddon, while presenting the science of pizzain the Carnegie Science Center’s Kitchen Theater. He waited until the very last and seemed curious about our programs. The next thing I knew, there was a hugh article in the paper – pizza science brings new director, or something silly like that. Seddon was one of the folks for whom I will be forever thankful. I would not be the person I am today or have acomplished the things I have if it were not for his years of mentoring and drive. He provided me with the many opportunities and experiences that helped to grow and shape my career, philosophies and strategies. He nurtured our creativity by eagerly listening to our ideas and challenges, then finding the resources to make them work. He and Frances were such a strong presence in the CSC and Pittsburgh Community,there to celebrate or mourn all of our life events – weddings, funerals, graduations, the births of our children. They even renovated/restored a downtown building – see Fragile Paradise. While, I am honored to have known him, I cannot yet imagine this world without him. Our family – Lynn, Paul, John-Martine and Miriam – send our love and prayers to your family, friends and community. You never fully realize the impact that someone has had on your life until one day you really you will never be able to personally tell them. Seddon was by far one of the most dedicated and unique leaders to have graced our presence. His ability to empower and lead only speaks volumes by those who had the pleasure of working with and for him. The experiences that I have been privileged to be a part of only came to shape because Seddon saw something in me, that at the time I did not see in myself. Your gift of empowering leadership will always remain with me. It was such an honor to be a part of your legacy. My thoughts and prayers will be with you, your family and friends always. One August, at a formal gathering, Seddon recognised my lack of acquaintances among the other guests, and endeavoured to ensure I was never without company, nor a glass of wine in hand. While perhaps not a grandiose gesture, it is the type one remembers, and is indicative of his empathy and generosity. He became a firm friend, and I have since enjoyed his wisdom, sincerity, advice and wit. It was very clear through numerous recounted stories and anecdotes, that he was passionate about Te Papa, and its family. My sincerest condolences go out to all of you at Te Papa – the way you have responded to his death serves to reflect the very culture he was so proud of being part of. I would like to extend my condolences to both Dr Seddon Bennington and Marcella Jackson’s families, and I can hear his voice now saying ”just Seddon, Carina, just Seddon” for I would always introduce him as I believe he deserved, respectfully; formally. Deeply saddened to hear of our loss for a nation has lost a superbly talented and passionate evangelist for all that is New Zealand. Some people have the power to change our lives – even after they’re no longer a part of it and I shall hold tight to his belief in me as I continue my journey of self development and growth. I have known Seddon since we were both 17yr old “teachers” in village schools in Samoa in 1966 on VSA ( Volunteer Service Abroad). The impact of such a formative experience at that age cannot be underestimated.. we both cried as we departed Samoa. By fortune we both ended up at Canterbury University studying Zoology. We became close friends, both keen biologists, and I shared a few of those early tramping trips with Seddon. Some of those didn’t go too well either..:-)..
Seddon was an intense and driven young man.. an “overachiever”.. and I mean that in a nice way. He seemed to need to cram a lot into his life. In later years I lost contact with Seddon , but we caught up at a VSA reunion a few years ago in Wellington. An impressive and articulate man at the top of his career ladder..you have to admire that. Such a sad and unfortuate loss. A gifted man, gone too soon. My condolences to his family and his current friends. I had known Seddon for nearly thirty years. During all that time his unwavering qualities of kindness, charm, thoughtfulness and quiet good sense never altered. That resonant, distinctive voice, the ready smile and the warmth of his welcome were other constants. What did change over the years was that in his successive roles in museums around the world, his experience, confidence and wisdom grew and grew. He was always generous in sharing that knowledge and experience with his friends and colleagues. He was truly collegiate. I shall always remember and treasure his generosity of spirit. My thoughts and prayers are with his family, friends and colleagues. May the dear man Rest in Peace. Museums Aotearoa pays tribute to Dr Seddon Bennington with sadness and with warmth. His untimely passing has taken a valued member of New Zealand’s museum community from us. As Chief Executive of our National museum, Seddon was keen to play his part in the wider museum sector. He listened to the concerns of other museums and galleries, large and small, and worked to support them. He was a generous colleague to all those he met. Seddon served on the Board of Museums Aotearoa for four years, ending his term in April this year. While Seddon is known for his leadership of Te Papa Tongarewa, he will also be remembered for the guidance provided to other museums in this country. He was always collegial, approachable, happy to talk to anyone, to share his varied experience. Seddon played a truly national and international role within museums and he will be missed. We hope the following days are filled with warm memories and respect for all Seddon’s achievements and the achievements of Team Te Papa. Our thoughts and prayers go out to his family and colleagues. Thank you Seddon, for the advice given freely to me on my professional practice over the years. Your input to, and influence on, the museum sector was huge, and your untimely departure leaves a big void for us all. My deepest condolences to all that are touched by your death. On behalf of the team at the NZ National Maritime Museum, I would like to express our deepest sympathy for the loss of Seddon. We can only start to imagine the huge impact that this will have on Te Papa. We were all absolutely stunned to hear of the tragic deaths of Seddon and his tramping companion Marcella Jackson. We sincerely appreciated Seddon’s continued interest and support of Blue Water Black Magic – A Tribute to Sir Peter Blake. His leadership helped to ensure that this partnership project will be a success for the people of New Zealand. Our thoughts are with Seddon’s family, friends and colleagues, during this difficult time. Nga mihi nui kia koutou! Losing Seddon to Nga Tararua is very sad indeed. I took over at City Gallery in the early days after Seddon moved off to Perth. He left behind a very gifted team and an ethos that was an enormous legacy to measure up to. When Seddon was appointed to Te Papa, I sent him a New Yorker cartoon of a hunched man carrying a giant fingerprint on his back to wish him tremendous strength. Seddon sent me a lovely note suggesting we have coffee sometime. We never had that cuppa but I have been consistently impressed with his work over the last six years. We have lost a great kauri. My condolences to family and to the whanau at Te Papa. Seddon will be missed by many many people. His impact on the cultural sector both here and overseas has been significant and many communities have benefited from his leadership and vision. On a personal note, Seddon was a great support to me as a newcomer to NZ and was generous with his time, generous with his counsel, and generous with his good humour. My heartfelt condolences to Seddon’s family, Marcella Jackson’s family and everyone at Te Papa. Over the past few days, we have received many messages from people in the field of early childhood education who met Seddon perhaps only briefly during our work with him, but were struck by his kindness and humanity. It was Seddon’s courage and commitment to the children of Aotearoa and his vision for this country as a world leader in early childhood education that lead to he and his team working with us. Like so many, we understand the huge contribution he has made to making this world a better place, and like so many, we are incredibly saddened by his passing. “Seddon, you are such a gentleman!, I said. “I just want to be a cowboy” he replied. Seddon was a pleasure to work for at Carnegie Science Center. He had an excellent memory for remembering everyone’s name without looking at name tags and he would not ask someone to do something that he wasn’t willing to do himself. When he was in the lobby he would stop by the admissions desk to say hello and ask how our day was going. If he passed you in the hall or on he ramp he would take a minute to say hello. My sympathy to Seddon’s family, friends and co-workers. With deepest sympathy to the family of Seddon Bennington, especially to his wife Frances, and with appreciation for having had the opportunity to work with him on Carnegie Museums of Pittsburgh’s travel program. I shall always remember him fondly and will miss him greatly. I am another of Dr.Bennington’s former employees at Carnegie Science Center, I worked there during his entire nine year tenure. He was simply the best Museum Director I have ever worked for. His vision and confidence spread to the entire staff, there was a real sense of family under his remarkable leadership. He really did know every staff person by name and wanted them to excel at everything they did. He was an approachable aristocrat and a true gentleman. He led the museum in Pittsburgh through its most comprehensive expansion in its history and left a legacy that spreads across the museum community around the world. I left CSC the same year that Seddon did, and have worked for four museum CEOs at two other museums since then. In my experience, no museum leader was as effective and accomplished as Dr. Bennington. What an incredible man, I’ll never forget him or the contributions he made to my professional development. The museum community has lost one of its greatest advocates. My deepest sympathy to Seddon’s family and friends. It was truly a privilege to have known and worked with Seddon. With the greatest admiration and respect, I will remember him fondly. Seddon was my friend. I will always remember ASTC meetings and the times we danced the night away with the most beautiful women in the world. I spent nine glorious days on a 95 foot sailing yacht in Alaska chasing hump back whales with Seddon. We persuaded him to go to the crows nest at the top of the mast which gave him the best view of land-sea-air and the ship below. He woudn’t come down for the whole day. I have a great video interview with Seddon in the main salon on the Odyssey with ice bergs looking in through the portholes and Seddon basking in a warm sun glow as he reflected on his life and the love that we both shared for new discoveries in aquatic ecology. I’m going to find that tape and see how I might share that with you in some electronic way. I will always remember Seddon for his warm voice, kind smile and friendship. Good-bye, friend Seddon – an incredible presence in the universe has been lost to us. Although our friendship was brief, the memories of your warmth, hospitality, and quiet humor are lasting. I recall the great pride in your voice when you spoke of your sons and we send our deepest condolences to your family, friends and community. Shalom. I had the pleasure of working for Seddon at Carnegie Science Center for six years. On my first day as a cashier I was shocked when he came and introduced himself and never forgot my name after that day. Over the years I enjoyed a few different positions at the museum and Seddon always made the point to thank me for my work and encourage me in my pursuits. He always kept his office door open and would welcome anyone to stop in when needed. He was not only a respected leader but a great listener, a kind soul and a fun guy! I have so many great memories of great times at conferences and CSC get togethers. Thank you for making a difference in my life Seddon. What a loss to New Zealand’s cultural administration. Seddon was an elegant, articulate and lively advocate for our country and culture, the museum sector, and of course Te Papa itself. And a good man. Our condolences to his family and friends and to those of Rosie Jackson. I am deeply saddened by this news. His smiling face, his charm and wit, and sense of humor, and sound of his voice, immediately came back to me, even after not seeing Seddon for more than a decade, a measure of the impact he had. A true quality human being. I worked briefly for Seddon at the Carnegie Science Center’s Buhl Planetarium, and he was a true gentlemen. My heart goes out to his family and friends. Unbelievable. I would not have had all of the wonderful experiences at Carnegie Science Center, nor the many cherished memories, that made me who I am today if it were not for Seddon. I am speechless. May he rest in peace. My deepest condolences to the family and colleagues of Seddon. He was a warm, genuine and passionate person who always made time for others. Although his time with us was cut short his legacy will be long lasting. I had the pleasure and privilege of working for Seddon at the Carnegie Science Center. I know he will be sorely missed, but also remembered by many people in many places with great fondness. He had a great vision, and an incredible energy. I personally will always remember him as the man who gave me the chance to excel in my professional life, just because I asked him to let me have a try. I was shocked and terribly saddened to hear of Seddon passing. When I worked at the Carnegie Science Center, Seddon always knew everyone’s name, even a lowly floor presenter like me. I think the measure of a man is not in his successes but in his relationships, in his manner of relating with others. Seddon was extrordinary. I used to make fun of the sculpture Seddon had placed at the top of the building. Now, I’m delighted that the center stands out in the crowd of casinos and stadiums that have cropped up around it. My condolences to his family and friends, and all those whose lives he touched. Carolyn and I met Seddon when he was a student, living with us in California while he studied in our laboratory. He has remained one of the special people in our lives for all these years. We will miss his warmth, his smile, his creativity, his gentleness, his friendship. My deepest sympathies go out to the family and friends of Seddon. I had the honor and the privilege of working with Seddon for eight years at Carnegie Science Center in Pittsburgh. He was a leader who was a great visionary, and he inspired others to be so as well. He was my mentor and my friend. Seddon, I will miss you. This sad news indeed. It was a joy and inspiration for me to have spend some days with him first in Perth then in Pittsburgh and for our paths to cross from time to time at various conferences. Meeting Seddon was always a great occasion for those of us in the science centre field and we will miss him. My condolences to the family and colleagues. We are saddened by the loss of Dr Bennington – a great and humble man. We are thankful for the selfless contribution that he has made to Wellington and nationwide, especially in his passionate efforts to advance culture, diversity and environmental awareness. I am deeply shocked and saddened at the news of Seddon’s death. I still can’t beleive it. I had the pleasure of working 2 years at Te Papa and met him on different occasions. He was also smiling and was taking time to speak with everybody. My sympathy goes out to his family and all Te Papa staff. It was with great sadness that I learnt of Seddon’s death. I had the pleasure of working with Seddon, within the Education Section of the Western Australian Museum when he was Head of Professional Services. He was an incredible mentor, leader, gentleman and friend. He considered, valued and appreciated the efforts, ideas and qulalities of the people he associated with. He was incredibly creative and broad in his thinking and did so much to promote learning, collections and research. He was responsible for breaking down barriers and encouraging everyone to feel comfortable and connect to exhibitions. He embraced learning and he made a positive difference for so many. My condolences to his family, friends and colleagues at this very sad time. It’s a sad day, but we must admire the people who seek to find peace and live for brief hours on the lonely summits of the land. We share with others the deep sense of loss. Seddon brought to Te Papa a rare combination of bridging science and culture, arts and technology. He was a born communicator with real vision and drive. He will be sorely missed by all of us who had the privilege to work with him. Seddon took on a formidable role – taking over the running of a trailblazing museum from its founding CEO – and he did so with genuine enthusiasm and passion. My sincerest condolences to his family, and to the family of Marcella Jackson. We are deeply shocked at the news of Seddon’s death, and our heartfelt sympathy goes out to his family, friends and all the staff at Te Papa. Seddon was a great supporter of our gallery and our artists, and we will miss him very much. As an artist, I was fortunate to benefit from Seddon’s thoughtfulness and support. He will be missed. I am deeply saddened by the news of Dr Seddon Bennington passing. He was an inspirational Director and a warm and friendly person to talk to, a real gentleman. Not often those two attributes go together. My thoughts are with his family and his friends, and with all the staff of Te Papa. A wonderful man he will be missed. Radio New Zealand extends its deepest sympathy to Seddon’s family and colleagues for their tragic loss. Seddon was warm supporter of the relationship which has developed over the last few years between Te Papa and Radio New Zealand – and especially the role of the series of Treaty Debates in exploring matters of nationhood and identity for a national audience. I’ll miss his cheerful greeting, firm handshake, and the warmth of his opening comments at so many of the recording sessions for the Treaty debates. We are deeply saddened and shocked to hear that Seddon has died. He was a great friend of the United States Embassy and only last Thursday he joined us to celebrate Independence Day. Please extend the sympathies and heartfelt thoughts of the staff of the United States Embassy to Seddon’s family and to all the staff of Te Papa. This is such a very sad moment – Seddon was a total gentleman – whose smile and handshake was always as warm and inclusive as our common purpose. I also had the privilege to work for Seddon at Carnegie Science Center. He was a visionary leader, and a caring human being. I don’t know that I’ve ever met anyone else as comfortable in their own skin and as able to draw out the best in others. I will miss him more then I can say. Thank you for your leadership in the arts & culture field Dr Seddon. It has been an honour to have known Dr Seddon Bennington not only as a knowledgeable and intellectual, but also warm and outgoing person. My deepest sympathies go to the staff and board of Te Papa, Seddon’s family, to the staff of Aotea Pathology and Rosie Jackson’s family. Seddon’s drive and charisma will be sadly missed and he certainly leaves behind big shoes to fill. There are many of us in the States who will miss Seddon terribly. Although he was far away, there was always the possibility he’d be passing through on one of his infamous treks across the globe. But no more. As Director at Carnegie Science Center, Seddon was our boss, but more than that, he was our leader. And mentor. And friend. He gave many of us chances to excel, to thrive and to expand our own vision of what we could be. I will miss him greatly. Dr Bennington have been the most aspiring leader in the arts and cultural industry in New Zealand. Implementation of the bicultural framework at Te Papa set a pioneer for everyone to follow; evidence to proof that biculturalism is not difficult to implement, and essential for the success of a harmonious society. This is not just a lost to Te Papa, but a lost to the whole of New Zealand. I had the honor of working for Seddon at Carnegie Science Center and he will truly be missed. He was an aspiring leader and a warm soul. God Bless.